Original and photocopy of authenticated NSO birth certificate, if born in the Philippines. Note: Applicants under 18 years old needs a parent’s or guardian’s written consent with a photocopy of an ID card as proof of identity. If parent or guardian is not present, the written consent must be notarized. You can apply at any licensing center/district office with new driver’s license transactions. If you are a foreign applicant that lives in Manila, you can apply at the Licensing Section of LTO East Avenue, Quezon City. 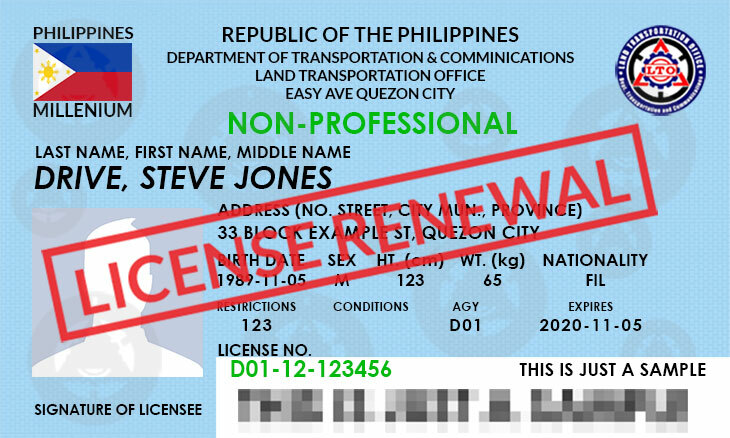 Go to the Customer Service Counter to get your checklist of requirements and secure a Driver’s License Application Form. [This form is available to download here]. 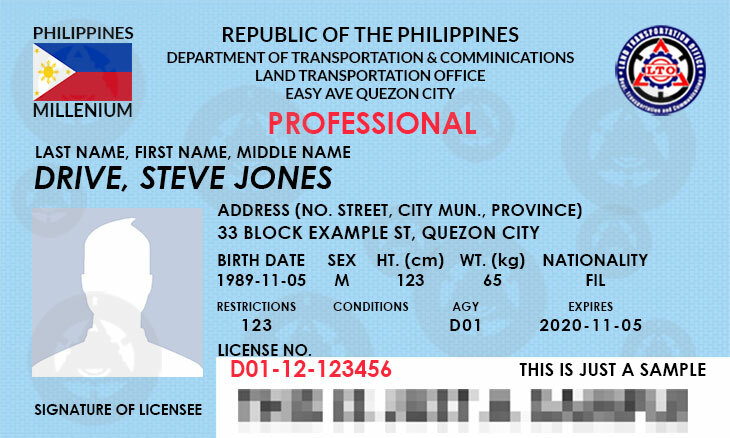 You can accomplish this form prior to transacting your business at the LTO.] Get a queue number. Never apply with fixers. It’s easy to apply for a Student Driver’s Permit, you can do it on your own. Student Driver’s Permit will expire after (1) year. Hi po..ask ko lang po.first timer po ako . Pero o.r lang ang nasa akin…. Dapat papoba nilang ibigay ang sp.? Ano pong ma e susuggest niyo.? Kapag student permit karaniwan papel lamang binibigay nila. Hi po. ask ko lang po wat if nahuli na pero sp pa lang tapos expired na po yung sp. pag kumuha po ba ulit ng sp mag kakaron po ba yung ng penalty? Hi! Is there an ID that will be given if you will apply for a non pro license? As long as accredited ng LTO ang medical, pwede. Hello! 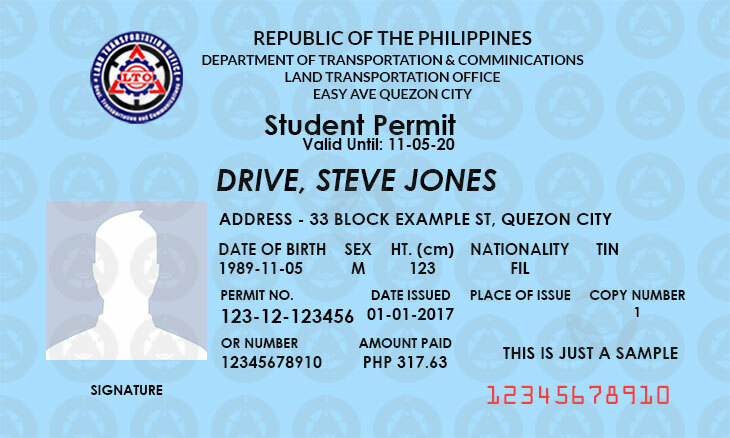 If ever po ba kukuha ako ng student permit by june 26 , pwede na po ba ako kukuha ng non prof driver license pagka july 26 ? Please response. Thank you! If I do have the students permit and would like to apply for a non-professional can I do it even if my sp is less than 30 days? I am leaving the country and will be back after a year. Is it possible? No, you can’t. It should be at least 30 days, that’s the rule. Hello Sir/Mam, Good afternoon po. Ask lang po ako kng ano po ba yung requirements mag add ng code num na 3. Thank you po. Previous license, another medical (valid only for 15 days). You’ll pay for additional restriction code at kukuha ka ng exam for that. Sorry, it’s already updated. Thank you for correction. One year lang ang validity ng student permit. My son is only 15 yrs old and knows how to drive already..can he avail the non professional driver license in lieu of student permit with my consent? He should be at least 17 years old to obtain a student permit, for non-professional driver’s license, he should be at least 18 years old. Hi po pwede pong mag tanong?kung mag 17na po ako this coming june 1 pwede na po ba akong maka kuha nang student permit nang june 2?